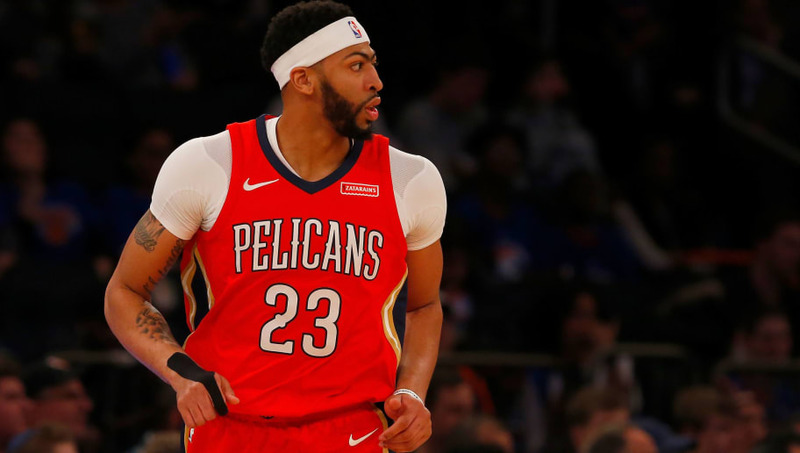 ​New Orleans Pelicans big man Anthony Davis has reportedly informed the organization of "a handful" of teams he would re-sign with when he becomes a free agent in 2020, and the Boston Celtics are not of them. Davis is hoping to be dealt before the Feb. 7 trade deadline, with most signs pointing to the ​Lakers having the best chance to land him. With the Celtics out of the running ​at least until this summer, it would appear that the Lake Show have the inside track due to the young pieces that they could send in exchange for the All-NBA forward, combined with his desire to be there. New Orleans is expected to send a counteroffer to Magic Johnson, Rob Pelinka and Co. ahead of the deadline and could ask for two first-round picks along with more young talent. The Lakers will most likely have to give up a lot for New Orleans to let go of the best player in their franchise's history. At just 25 years old, Davis is a top-five NBA player and a potential future league MVP.